Similarly, ratings woes on linear TV channels are not new. But when Viacom reported a 9 percent drop in ad revenue from its cable networks investors seemed to take it as confirmation that even well-established media brands are losing pricing power in the advertising market. Investors — to say nothing of the media companies themselves — could have still more to worry about this fall, however, as the Federal Communications Commission takes up a series of proposed rule changes that, if enacted, could significantly reduce the networks’ bargaining leverage with distributors, making it harder for the networks to command price hikes for carriage of their channels from cable and satellite providers. This week, FCC chairman Tom Wheeler officially kicked off a review of the retransmission consent rules that govern how broadcasters and pay-TV providers negotiate carriage agreements. The review was mandated by Congress as part of last year’s Satellite Television Extension and Localism Act Reauthorization (STELAR). It directs the FCC to review, and if necessary revise, its standards for what qualifies as “good faith” negotiating, which the rules currently require. Congress created the retransmission consent regime in 1992, a time when cable operators were viewed as monopoly gatekeepers, to give broadcasters more leverage in negotiating for carriage. 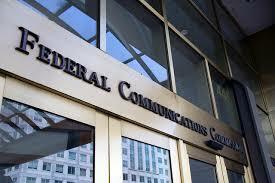 It gave broadcasters the choice of invoking a “must-carry” provision requiring cable operators to carry any local broadcast signal within their footprint, or waiving must-carry in favor of retransmission consent, which allows broadcasters to negotiate payment for carriage. Cable and satellite operators have long argued, to little avail, that the system gave broadcasters too much leverage and led to higher subscription prices for consumers and the forced bundling of broadcast channels with other, less-desirable networks affiliated with the broadcaster. Operators also complain that disputes over retransmission consent increasingly lead to broadcaster-imposed blackouts for which the operators nonetheless are invariably blamed by consumers. With the passage of STELAR last year, however, pay-TV providers sensed an opening they hadn’t had before and have moved aggressively to take advantage of it. In a rare instance of cooperation across pay-TV species lines, cable and satellite provider jointly formed the American Television Alliance (ATVA) to lobby the FCC for a complete overhaul of the retransmission consent system. As Cablevision has previously explained, the bargaining relationship between broadcasters and multichannel video programming distributors (“MVPDs”) has changed dramatically since 1992, when Congress enacted the retransmission-consent regime. At that time, policymakers were concerned that the cable operators maintained a bottleneck over distribution and that local broadcast stations were dependent on cable operators to reach viewers. Congress sought to correct that imbalance by giving broadcasters special tools to increase their relative leverage. Today, distribution is widely available to broadcasters in many forms and on many platforms: broadcasters can self-distribute (CBS All Access), distribute through aggregators (Hulu), deploy over streaming services (Sony, Sling TV), publish content on various Internet video services (Vimeo, YouTube), distribute over cable, DBS, and telcos, and, of course, they continue to broadcast over the air. Now that so many distribution options are available, the tools that Congress gave broadcasters to enhance their leverage in carriage negotiations with distributors is disserving consumers, resulting in higher fees to operators, driving more broadcast-affiliated cable programming into distributors’ video packages, and requiring consumers to pay more for content that they do not want or forego content they do want. Congress’s mandate in STELAR to revisit the good faith requirements for retransmission consent gives the Commission an important opportunity to correct these imbalances for the benefit of consumers. It’s impossible to know at this point where the FCC’s retransmission review will lead. But through a series of actions over the past two years Chairman Wheeler has seemed determined to rebalance the scales of negotiating leverage between content owners and distributors in ways that would reduce the content owners’ pricing power. As discussed in a series of previous posts here, the FCC this fall will take up a proposal to extend its formal definition of a multichannel video programming distributor (MVPD) to include linear over-the-top services like Sling TV. If enacted the proposal would give OTT services that elect MVPD classification the same program access rights to non-broadcast channels that cable and satellite providers enjoy and make them eligible to negotiate for retransmission consent from broadcasters under whatever good-faith standards are in effect. While it’s unclear how many OTT services would actually elect MVPD classification, the change would limit the networks’ ability to use unregulated carriage negotiations with OTT services as leverage to raise prices for traditional MVPDs. In June, Wheeler sided with Republicans on the commission to limit local governments’ ability to regulate cable rates by declaring that all cable systems presumptively face “effective competition” from satellite and other pay-TV providers and therefore cannot be regulated my municipalities. The change also relieves cable systems from the obligation of carrying all broadcast channels on their basic tiers, handing operators a big stick to use with broadcasters in their next retrans negotiations. As part of the upcoming retrans review, Wheeler has also put forth a proposal to eliminate “exclusivity” rules that prevent MVPD’s from importing out-of-market broadcast stations when a retrans dispute with a local station results in a blackout. That brought a sharp and immediate response from the National Association of Broadcasters, indicating just how critical broadcasters regard the rule to be to their negotiating leverage. Some members of the commission, including Wheeler, have also expressed sympathy for the argument that ever-rising carriage costs are undercutting cable operators’ ability to build out their high-speed broadcast infrastructure by squeezing their margins. As MoffettNathanson’s Craig Moffett told a Congressional subcommittee last month, “Absent reforms to restrain the runaway growth in programming costs, video will become unprofitable.” As a result, “new builds of broadband will become increasingly economically challenged and therefore will become less and less likely.” The FCC already has the authority to promote the adoption of broadband, a power it invoked in establishing net neutrality rules. Pay-TV providers are now urging the commission to use the same power to put a lid on programming costs. Wheeler has also used the merger review process to shape consolidation in the pay-TV industry in ways that could bolster distributors leverage with programmers. The FCC blocked the Comcast-Time Warner Cable merger, but Wheeler’s concerns in that case largely had to do with its potential impact on the broadband market. In contrast, the FCC did not try to block AT&T’s acquisition of DirecTV, creating a new pay-TV behemoth. Unlike Comcast and TWC, DirecTV is not a major player in broadband, so the AT&T did not raise the same concerns with the commission. Even before the DirecTV deal was approved, there were signs that AT&T was looking to use the increased leverage the merger would give it in retransmission negotiations with broadcasters — no doubt as Wheeler expected. In short, the media company shares are already under pressure from cord-cutting and from falling advertising revenue. The companies are now likely to face intense pushback from distributors — abetted and emboldened by the FCC — on carriage and retransmission prices to reach those viewers who still have a cord. Content may still be king, but the king’s power is no longer absolute.